Life is usually pretty simple for a football supporter - not easy, mind you, but simple. You love your team. You hate (or at least profoundly dislike) your city rivals and/or archenemies. When your team win, it's one of the best feelings in the world. When they lose, getting to work the next morning seems just a tad harder. 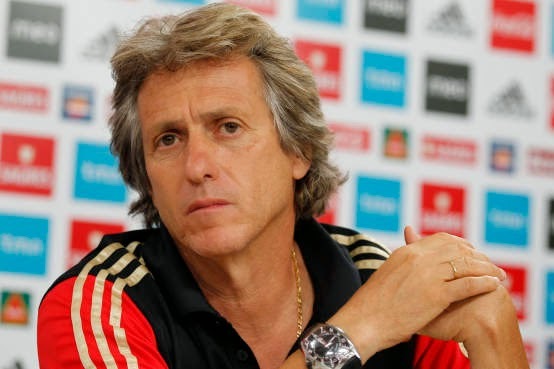 This is one of the reasons why the phenomenon that surrounds Benfica's coach Jorge Jesus is so interesting. Every club - at least in Southern Europe - is subject to these virtually bipolar fans (straying away from the loyal supporters), but the Eagles are a club that seems to be constantly riding a wave of euphoria or experiencing the hardest of crashes with reality. There is hardly ever any in-between. During the same week, it is possible to hear supporters swearing on their mother's grave that Jesus has been the best thing that has happened to Benfica over the past two decades and others who assure their conversational partner that he's only lucky he's had access to such gifted players. Team identity: a blessing or a trap? Every (future) manager taking their badges will have heard countless times that designing your "modelo de jogo" - your tactical blueprint, if you will - is crucial. If you have no idea where you're going, you'll never get to your destination - or so the saying seems to go. You're told that that blueprint has to take numerous things into consideration, from the players at your disposal to the club's ambitions or the supporters' traditional reactions to results and displays. Your identity seems to be the cornerstone around which everything revolves. The issue comes when you take that identity to the pitch, to face reality - and what you do when results do not come your way. What do you do with that identity when your players are clearly not good enough to execute what you had in mind? What do you do when the president insists that you play two strikers? What do you do when you hit a slump of form or face much harder competition on another environment? The average supporter could not care less about all these questions and thus it is much easier to just sing their coach's praises when their team win and blast him to hell when they lose. In this specific case, Benfica's supporters are quite happy to watch their team destroy other sides in the Portuguese league, but find it much harder to stomach when Jesus implements the same tactics in Europe and crashes out of the Champions League. When to stick to the plan and when to give in? The issue always ends up at the same stop: over their last five seasons in the Champions League, Benfica have only progressed once to the last sixteen. And that seems to be the point where black and white do not suffice to address the Jesus conundrum: his know-how when it comes to materialising his ideas is undoubtedly impressive. The new players that are invariably signed during the off-season to replace the ones he molded over the past seasons and went on to greener pastures always seem extremely raw and totally uncomfortable with the coach's ideas. Some months later, some of them are touted for higher flights and mentioned on the foreign press. But what baffles most - including this columnist - is the apparent (or perhaps evident) unwillingness to adapt his approach and options the slightest bit to what his team find in front of them. The cavalier attitude that is on display week in, week out in Portugal seems to do more harm than good, conveying the impression that system will be able to meet most needs. Used to dictate most matches domestically, Benfica often struggle in the Champions League, because their blueprint relies heavily on transitions - both defensive and attacking. In Europe's top tier, however, other teams are much more adept at punishing them for committing so many men forward with caution apparently thrown to the wind. It would be much easier to judge coaches simply on results. In truth, that's what always happens in the end. With Jesus, however, there is one lingering question: should he be criticised for never being willing to change or should he be praised for the courage to stick to his ideals no matter what? After all, at some point all geniuses were dubbed crazy and stubborn for believing in their work. Sometimes, good or bad are not enough to describe a (wo)man's work.